In the following sections, we will introduce to you some basic concepts of the SMS technology. An SMS message is stored temporarily in the SMS center if the recipient mobile phone is offline. It is possible to specify the period after which the SMS message will be deleted from the SMS center so that the SMS message will not be forwarded to the recipient mobile phone when it becomes online. This period is called the validity period. Here is an example that illustrates how validity period can be used. Suppose you find a very interesting program that is showing on TV now. You think your friend may want to watch it. So, you send a text message to tell your friend about the TV program. Let's say the TV program lasts for an hour. Your SMS text message will not be useful to your friend if his mobile phone is not available before the program finishes. In this situation, you may want to send a text message with a validity period of one hour to your friend. The wireless carrier will not deliver the SMS text message to your friend if his mobile phone is not available before the validity period ends. A mobile phone should have a menu option that can be used to set the validity period. After setting it, the mobile phone will include the validity period in the outbound SMS messages automatically. Sometimes you may want to know whether an SMS message has reached the recipient mobile phone successfully. To get this information, you need to set a flag in the SMS message to notify the SMS center that you want a status report about the delivery of this SMS message. The status report is sent to you in the form of an SMS message. A mobile phone should have a menu option that can be used to set whether the status report feature is on or off. After setting it, the mobile phone will set the corresponding flag in the outbound SMS messages for you automatically. The status report feature is turned off by default on most mobile phones and GSM / GPRS modems. After leaving the mobile phone, an SMS message goes to the SMS center. When it reaches the SMS center, the SMS center will send back a message submission report to the mobile phone to inform whether there are any errors or failures (e.g. incorrect SMS message format, busy SMS center, etc). If there is no error or failure, the SMS center sends back a positive submission report to the mobile phone. Otherwise it sends back a negative submission report to the mobile phone. The mobile phone may then notify the user that the message submission was failed and what caused the failure. If the mobile phone does not receive the message submission report after a period of time, it concludes that the message submission report has been lost. The mobile phone may then re-send the SMS message to the SMS center. A flag will be set in the new SMS message to inform the SMS center that this SMS message has been sent before. If the previous message submission was successful, the SMS center will ignore the new SMS message but send back a message submission report to the mobile phone. This mechanism prevents the sending of the same SMS message to the recipient multiple times. Sometimes the message submission report mechanism is not used and the acknowledgement of message submission is done in a lower layer. 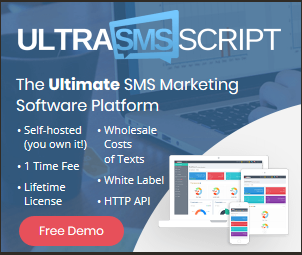 After receiving an SMS message, the recipient mobile phone will send back a message delivery report to the SMS center to inform whether there are any errors or failures (example causes: unsupported SMS message format, not enough storage space, etc). This process is transparent to the mobile user. If there is no error or failure, the recipient mobile phone sends back a positive delivery report to the SMS center. Otherwise it sends back a negative delivery report to the SMS center. If the sender requested a status report earlier, the SMS center sends a status report to the sender when it receives the message delivery report from the recipient. If the SMS center does not receive the message delivery report after a period of time, it concludes that the message delivery report has been lost. The SMS center then re-sends the SMS message to the recipient. Sometimes the message delivery report mechanism is not used and the acknowledgement of message delivery is done in a lower layer.